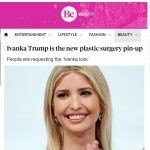 HOUSTON, TX – via NEWSFIX.COM Think plastic surgery, and it’s hard not to think of Hollywood. But Houston actually has more silicone-augmented breasts per capita than anywhere else in the world. Franklin Rose, MD – known for his work on dozens of celebrities from Houston and elsewhere- discusses the plastic surgery procedure step by step in this before and after plastic surgery video, his painless technique, and the importance of choosing the right plastic surgeon and preserving a beautiful and natural look for his patients in this new video. Film and TV actress Mayra Leal (pictured above) recently went to Dr. Rose for a breast enhancement to enlarge her breasts from a small B to a full C cup – Mayra talks about her decision and her quick recovery post surgery by Dr. Rose. Actress Mayra Leal is probably most well-known for her work in the hit movie “Machete” alongside other actors such as Danny Trejo, Robert De Niro, Jessica Alba, Steven Seagal, Cheech Marin, Don Johnson, and Lindsay Lohan directed by Robert Rodriguez. Patients have traveled from all over to have Dr. Rose perform their breast augmentation. Contact Dr. Rose at 713.622.2277 for an evaluation. During your consultation, he will determine if you are a good candidate and will confirm the pre-operation arrangements.